Why pay big bucks for 24Kt.?? Save money with 24Kt. Gold over copper core. 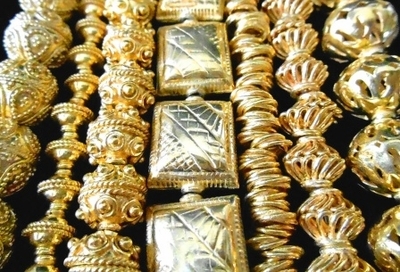 With gold prices soaring to record levels, U.S. Bead Warehouse has developed a 24Kt. money saving alternative. You will be touching and feeling 24Kt. with the maliability of 24kt. gold. With our creative electro forming process, unlike plating, our process gives a durable lasting result of 24Kt Gold. Your designs will have the rich 24Kt appearance.